KUALA LUMPUR: Datuk Zaid Ibrahim lamented today the lack of empathy among fellow Malay-Muslims towards non-Muslims caught in inter-religious child custody tussles. The former de facto law minister pleaded with the Malay-Muslim majority to put themselves in a non-Muslim’s shoes and to imagine if hypothetically, the law allowed a non-Muslim parent to convert a Muslim child to Hinduism or Christianity without the consent of the Muslim spouse. “Sensible Malays are those who will not do to others what they do not want done to them,” Zaid wrote in a blog post today titled “What sensible Malays should do”. “Today, Malays do not seem outraged that a mother can’t have custody of her own son—even with a High Court order—just because she is Hindu. “Instead, Malays seem to be supportive of the father who became a Muslim and took the son away illegally, telling everybody of course that it was to prevent his son from being converted to Hinduism,” he added. Zaid questioned the mindset of many Malays who have taken the side of Muslim parents in inter-religious marital disputes. Last week, a Hindu mother, S. Deepa, won full custody of her two children ― a nine-year-old daughter and a six-year-old son — at the Seremban High Court. But her estranged husband, a Muslim convert born N. Viran who now goes by Izwan Abdullah, had snatched the boy from the mother two days later, insisting he too had full custody as awarded by the Shariah Court, after he converted their children to Islam last year without his wife’s consent or knowledge. The police have refused to act on Deepa’s abduction complaint against the child’s father, with Inspector-General of Police Tan Sri Khalid Abu Bakar citing the two conflicting court orders as the reason. Zaid said today that a generation ago, Malays would not have condoned such a “travesty of justice”. “Malays of the past would have had no difficulty accepting that changing the religion of a child requires the decision of both parents (or guardians). It’s just common sense. Malays of the past would not have accepted the proposition that a single parent could unilaterally change the religion of a child against the wishes of the other parent. Those Malays had no difficulty following the law that enabled the child to decide what his or her religion was upon reaching the age of 18,” he added. The former minister who had served in the Abdullah administration told The Malay Mail Online earlier today that the Federal Constitution was clear that the consent of both parents is required to convert their child’s religion. He also called the government “weak” for not enforcing the country’s supreme law, pointing out that proposed amendments to the Law Reform (Marriage and Divorce) Act 1976 and the Islamic Family Law have yet to be tabled in Parliament since they were mooted five years ago. According to Zaid, Putrajaya had proposed the amendments to ensure that a child keeps the religion they were born with until they turn 18, if both parents cannot agree on converting the child, and to ensure that maintenance and custody disputes are handled in the court in which the marriage was registered, even if one spouse embraces another religion later on. 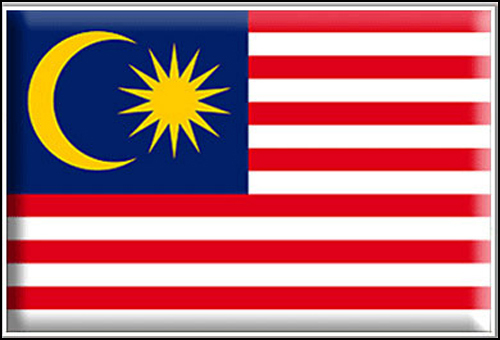 “I am still Malay and I hope more Malays will not be cowards like our leaders. They must speak up for justice and the principle of fairness to all,” Zaid wrote on his blog.